The negative environmental impacts of energy use, particularly soil and water pollution, continue to present serious policy dilemmas. The release of emissions and effluents and the build-up of solid waste throughout the fuel cycle have disruptive effects on natural habitats and human health. Further, fuel combustion can result in the emission of carbon dioxide, ozone, methane and nitrogen dioxide � the 'greenhouse gases' which have been linked to climate change. The safe and sustainable use of energy has become an important issue in the wider environmental debate. 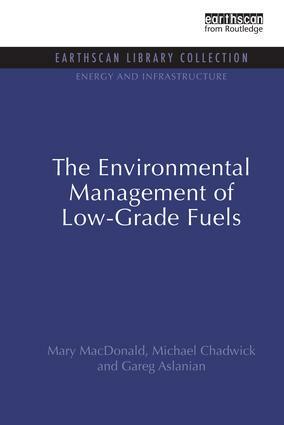 In this report, researchers from the Stockholm Environment Institute explore the issues raised by the use of low-grade fuels such as peat, wood, biomass, lignite, oil shale and municipal and industrial wastes. The present strategies and policy options for all stages of the process, from mining and transport to processing and combustion.